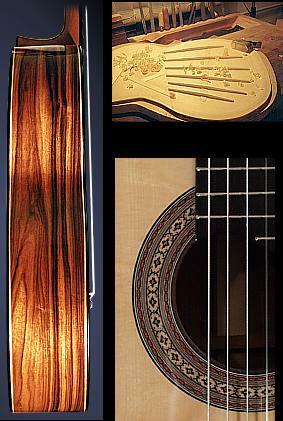 On these pages you can obtain a general view of my work as a master craftsman of fine guitarmaking. In my workshop I construct guitars with the precision of a skilled craftsman and great love for details for musicians with very high expectations. Exquisite, seasoned tone woods, and an individual processing result in a well balanced brilliant sound. The construnction of classical guitars is the main area of my work.